Do you want to go to work at the State House as governor for a day? 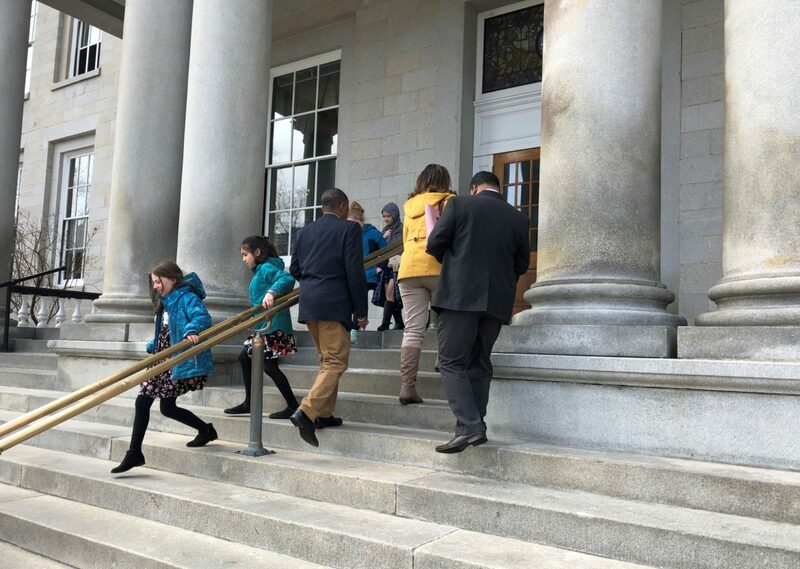 CONCORD – Governor Chris Sununu announced the 2019 “Governor for a Day” essay competition. The competition is open to all middle and high schoolers, grade six and up. The initiative was launched in New Hampshire to foster civic education and promote youth participation in government. Interested applicants are invited to submit a 250-500 word essay completing the sentence, “If I were Governor for a day, I would…” One individual will be selected to serve as the official student “Governor for a Day” and will be invited to join Governor Sununu for a day full of educational experiences. Additional details and competition criteria can be found here.